This might sound silly, but... why did you create a website? What was it designed to do for you? Did you have some specific goals in mind before you built it? It's OK if you aren't sure about what the original plan was. But now you can take action and either resurrect the goals or set new ones. Goals are always evolving, but having them is the first step in measuring your website's success. Once you know if your website is meeting your goals, then you can decide if you need to change it. What you want to measure. We need to measure the number of new leads coming to our company as a result of the website. What change do you want to see? Remember, all leads are not equal so be sure you have a way to determine whether the lead is qualified before you even call them back. We want to see an increase in qualified new leads by 20%. When do you want the change to take effect? We all want everything tomorrow, but we need to give everything some time to start working before you look for results that are solid enough for you to make decisions based upon it. At lease a few months in most cases. We want this increase in leads to be in place over the next four months. And above all, be realistic. If you don't have the man power to take on a 150% increase in qualified leads, then maybe consider starting with 50% so you can add manpower and then set a new goal. 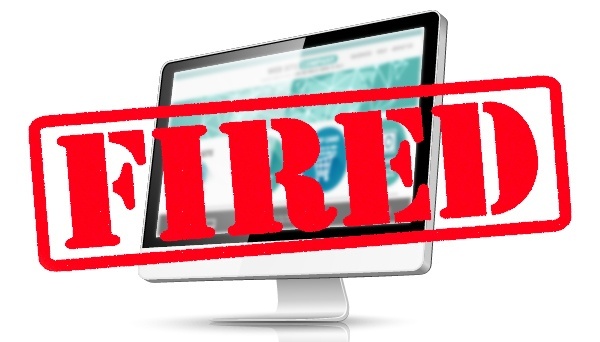 Before you throw out a website that you might think isn't working, find out for sure. Whether you had previously set goals or you recently set new ones for your exisitng site, have a look to see what's working. Some of this data can be gathered in Google Analytics but other tools may be needed to determine your lead collection rate and success of those leads such as a CRM (customer relationship management) system. There is a free CRM from Hubspot that we use and we like it a lot. But others like SalesForce can give you the information about your lead sources and outcomes. See what the answer is to each of your goals. Just like a sales person who you'd fire if they weren't producing, you should consider doing the same with areas of your website that aren't helping you meet goals. If you're coming up short on meeting goals, dig into the "why" and see what you might be able to change. Sometimes it's a series of small things. Sometimes it's a bigger revamp. Whatever decision you make on website redesign, you should test out your changes to see if they produced the results you expected. If you want more leads, did you give visitors a clear path to your lead collection form? If you have more than one kind of lead that you want, do you make the various pathways clear? Just by choosing one path over another your visitors are giving feedback on what they find important. Plus, the number of new and qualified leads that come in will help you determine if your call to action is easy to understand. You might find in the process of deciding what to change on the webiste that a) Everyone has ideas and b) Everyone wants their ideas added to the website right now. Start by letting your team brainstorm. Document it and then figure out which things could have the greatest impact on the goals you're trying to meet. Often times the aesthetic things can wait while you get the functionality in place. And believe me we love a good looking website (See our blog topic on Website Design), but creating content and an easy-to-follow process will win over the visitor because it's clear that you know what you're talking about. THEN go onto the things that will make the website prettier. If your website isn't responsive, or you haven't really done much over the past few years, it's probably time to start fresh with new code that Google will like, content that's up-to-date and an entire strategy behind what you show on your website. If you've recently finished a website redesign, you still need to pay attention to your website goals and meeting or exceeding them. Either way you don't want to get in the habit of ignoring your #1 sales person. To help you stay focused there's a new web development process called Growth-Driven Design. This works well for those who want to really stay on top of continually updating their website, testing the results and then making adjustments based on what works and what doesn't. Download our free eBook to learn more about what Growth-Driven Design is and how you can implement it on your website.